With a nod to its history and a look towards its future, La Dolce Vita recently enlisted Amanda Gunderson to create a cocktail program dubbed L.A. Icons, featuring her takes on cocktails that were either invented in Los Angeles or have historical significance to the city. 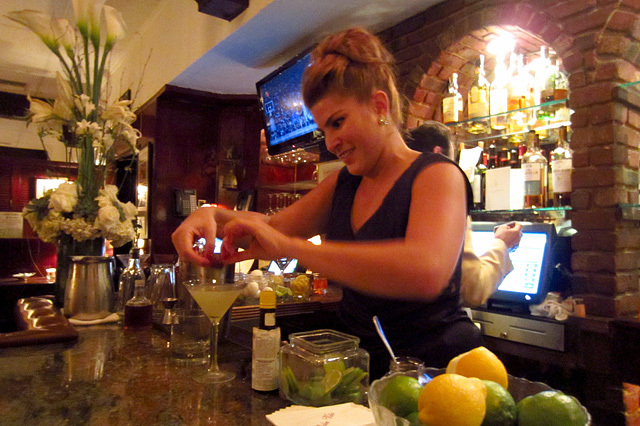 Gunderson, who started working at La Dolce Vita several years ago and remained on board as a consulting mixologist, is usually behind the bar at The Bazaar by José Andrés. She was previously at Rivera, where she honed her craft under the tutelage of Julian Cox. Regarding the L.A. Icons menu, Gunderson said, “It’s been a fun project for me because I love La Dolce Vita and I’m obsessed with LA and our rich history.” Among the classically-driven cocktails: the Sunset Mule (a riff on the Moscow Mule), the Doheny & Beverly (based on the Flame of Love, created for Dean Martin by legendary Chasen’s bartender Pepe Ruiz), Valentino’s Revenge (a Blood and Sand variation), and the Sinatra Sour, a pre-Prohibition style cocktail made with Sinatra’s favorite, Jack Daniel’s. 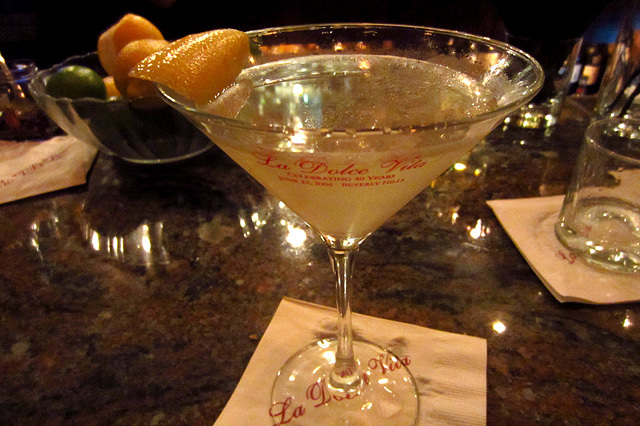 Speaking of which, the Vesper was my first cocktail at the launch, made with Fords Gin, Stoli Elit, Lillet Blanc. And yes, it was shaken, not stirred. As you sip the chilled, bright and balanced classic Bond cocktail while seated at the cozy bar, you can’t help but feel as if you’ve stepped into a movie. It’s no surprise that La Dolce Vita has a cinematic vibe; the restaurant’s clubby interior was designed by Lyle Wheeler, the “dean of Hollywood art directors” who won five Oscars and created sets for over 350 films, including classics like Gone With the Wind and The King and I. The exposed brick, red leather banquettes, and low lighting are as warm and comforting as Executive Chef Franco de Dominici’s classic Northern Italian dishes. 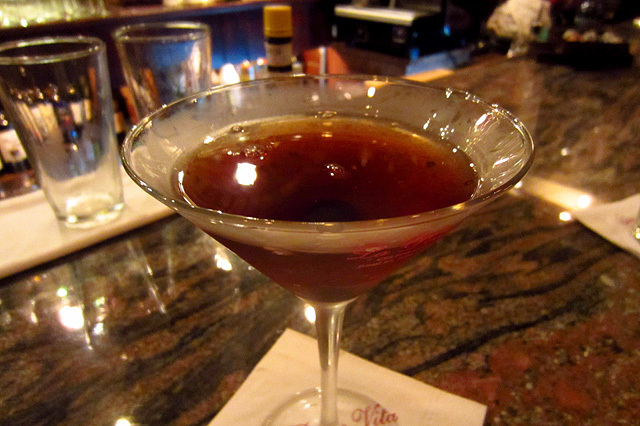 Classic Manhattan: Templeton Rye, Carpano Antica, Angostura Bitters, Luxardo cherry. 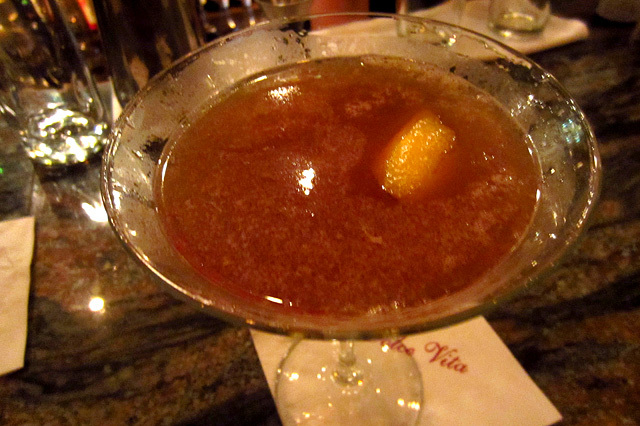 November 1939: Ron Abuelo Rum, Cynar, lemon, sugar. 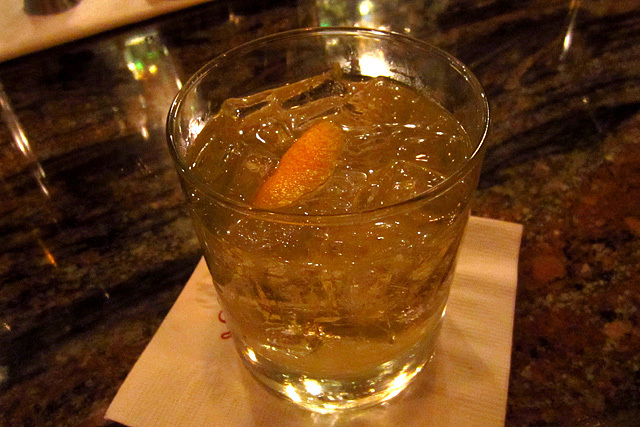 Gunderson said one of the most popular cocktails from the new menu is the November 1939, named for the month and year that Sinatra was asked by bandleader Tommy Dorsey to join his band, a life-changing moment in the singer’s career. Based on orders alone, the November 1939 was the favorite of the launch, with the rum’s rich vanilla and caramel notes anchored by the distinctly herbaceous amaro. Back in July, La Dolce Vita dedicated booths to Sinatra and Guy McElwaine, his lifelong friend and agent. They join Raft and President Ronald Reagan as the only people honored with brass name plaques. 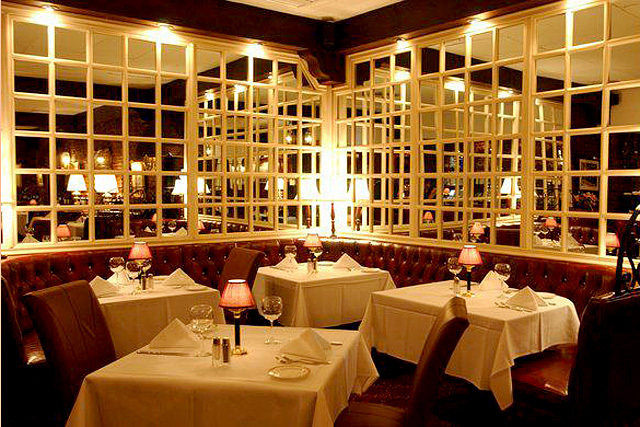 Interestingly, Sinatra’s favorite booth wasn’t the one that now bears his name, but a corner booth by the bar, with a clear view of the entrance. A guest straight out of Central Casting had his dinner at this table during the early part of the launch. It didn’t take long after he was done for bar patrons to take turns posing in Sinatra’s booth, yours truly included. The outstanding Negroni Bianco was the perfect cocktail for the photo op: Comb 9 Gin, Breckenridge Bitters, Tio Pepe Sherry. The Chairman of the Board may have preferred Daniel’s, but sitting in that corner booth, sipping a Negroni Bianco and taking in the scene, it’s not hard to imagine Danny Ocean in that same spot, knocking back a few while planning his next heist. Ring-A-Ding Ding indeed. 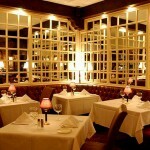 Photo of Sinatra’s favorite booth via La Dolce Vita Facebook page.